In complete contrast to opening night last Friday, it was the home teams picking up the points this time around. 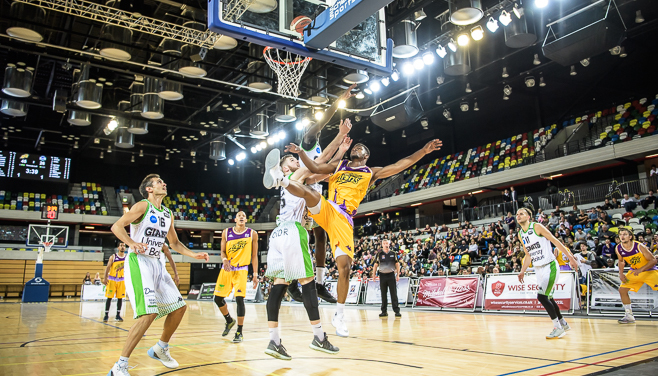 London Lions maintain top spot after they brushed aside Manchester Giants in a 115-74 success as Justin Robinson handed out 13 assists to go with 19 points. Esh Group Eagles Newcastle defeated Glasgow Rocks 119-104 behind 37 points from Saah Nimley and a further 33 from Jaysean Paige, while Leicester Riders overcame Bristol Flyers 79-59 to join on a 2-0 start. Meanwhile, DBL Sharks Sheffield eased past Leeds Force for a 98-71 triumph as they powered to victory in the middle periods.